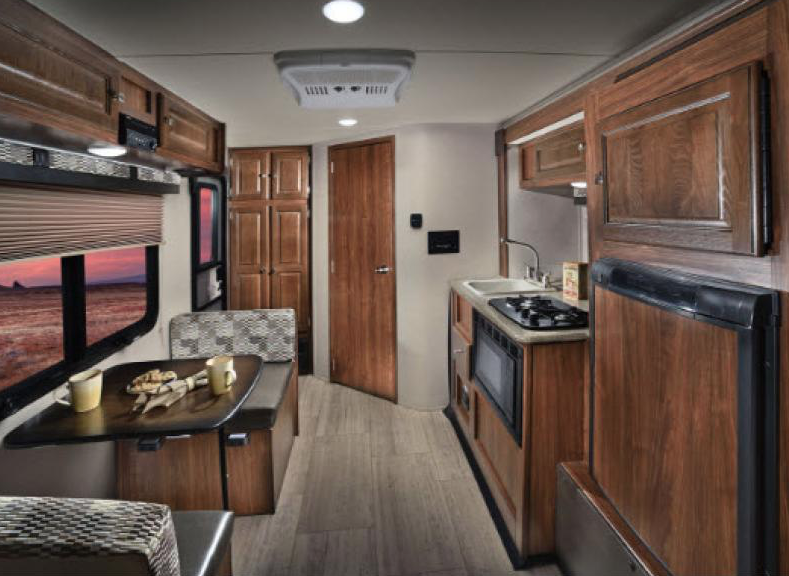 If you’re in the market for a lightweight travel trailer that offers comfort and versatility, look no further than the impressive, stylish Palomino PaloMini. This travel trailer offers everything you need to feel comfortable on the road, yet manages to pack it all in an incredibly lightweight package. We’re proud to be your PaloMini dealer because we know this brand promises quality to every RVer. Learn what else makes this RV special in our Palomino PaloMini travel trailer review. 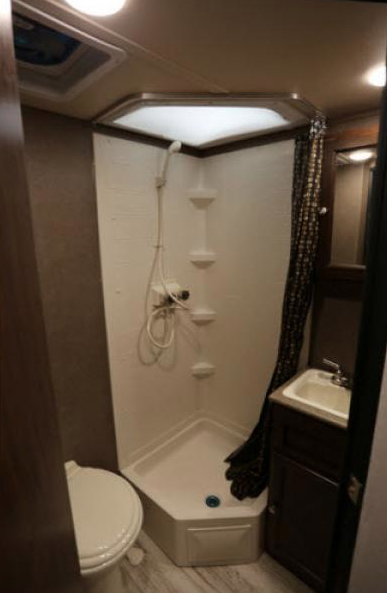 A spacious bathroom isn’t something you’d expect to find in a compact travel trailer, but that’s just what you get when you walk into the PaloMini’s bathroom, found in every PaloMini floorplan. From the ample storage to the spacious corner shower, you’ll love every minute spent in this space. What if you could have your cake and eat it too? With the PaloMini travel trailer you get the efficiency of a lightweight RV, with the benefits of heavier RV. One of the best benefits is the added front trailer space, where you can load extra luggage or toys like ATVs or dirt bikes. One of the perks of RVing is always getting a home cooked meal, even while traveling. The PaloMini’s kitchen makes cooking a delightful experience, thanks to its layout that truly take into account how a person moves in such a space. From the moment you walk in this space you’ll notice it was created to be lived in and enjoyed. And what better way to do that than to enjoy a meal with the family? If you’re interested in learning more about our selection of PaloMini RVs for sale, contact us. We can answer any questions you have and make sure you have the information needed to make the best decision for your needs.